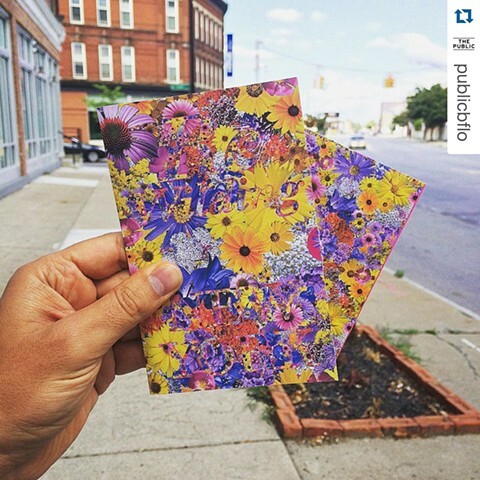 ReWilding New York : Community Seed Stations is a large-scale public project for the Albright-Knox Art Gallery — one of the nation's oldest art museums, located in Buffalo, NY. 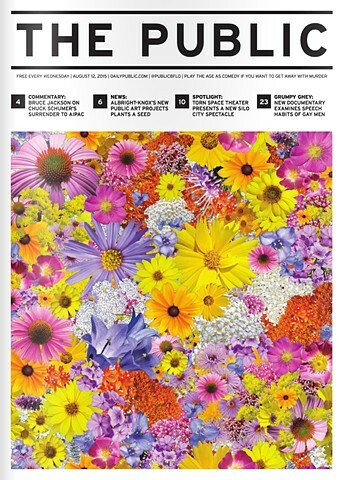 ReWilding New York uses upcycled newspaper boxes, covered in a brilliant native floral photo mural, to gift over 10,000 custom-designed packets of native wildflower seeds to Western New York citizens. 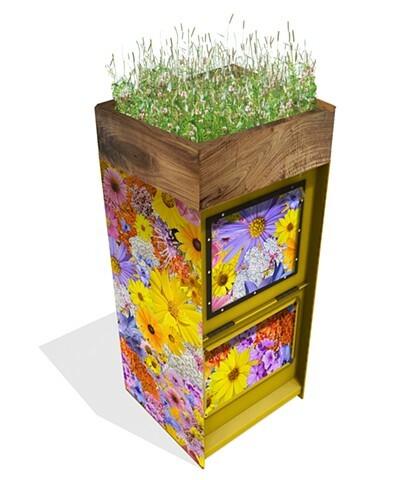 Selected in collaboration with Wildflower Farms to be beautiful, easy-to-grow in urban areas and high-nectar-yielding to support pollinators, the seeds also sprout from the top of each box's reclaimed wood 'green roof.' Two species of hardy milkweed are included specifically to support imperiled monarch butterflies, whose populations have dropped by 90% in recent years. 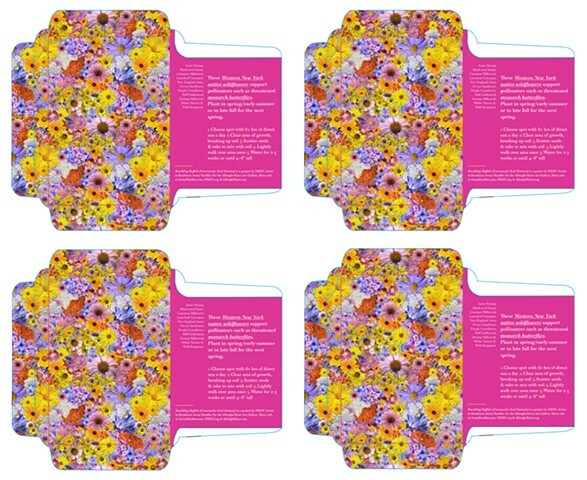 The seed packets are enclosed in a 100% post-consumer paper, soy-ink printed card with an additional action step for participants to take — a postcard to mail to Governor Cuomo in support of more native plantings, especially milkweed, and better pesticide regulation — which will protect both human health and endangered pollinators. With literally millions of chances to sprout native plants contained inside, the brilliantly-colored Community Seeds Stations will travel around Buffalo and Western New York, in partnership with local organizations, bringing people into a closer relationship with their native environment, and helping to re-wild New York. 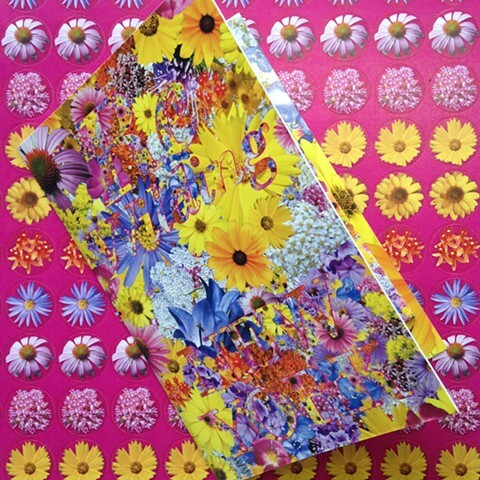 Please visit the Albright-Knox's website for more information. 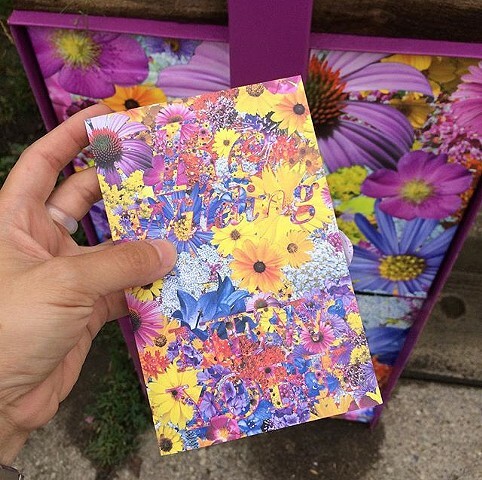 ReWilding New York: Community Seed Stations was made possible by the Public Art Initiative at the Albright-Knox Art Gallery, and the generous donation of the boxes by the Buffalo News. The artist would also like to express gratitude to the creative team who worked on the project: Public Art Curator Aaron Ott, Public Art Projects Coordinator Eric Jones, graphic designer Xiaoqing Wang, woodworker Sean Wrafter, and the many other volunteers and local organizations who are assisting with tasks like stuffing thousands of seed envelopes and caring for the Seed Stations.